Unlike Nintendo and SEGA, Sony never managed to find a true mascot for its PlayStation brand, and not for lack of trying. The two characters that mostly represent the first console ever made by the Japanese company are Crash Bandicoot and Spyro the Dragon. Both the series’ featuring these characters eventually went multi-platform, but there’s no denying that the first entries in the series are the best ones ever made. Crash Bandicoot came back into the spotlight last year with the Crash Bandicoot N. Sane Trilogy, and this year it’s Spyro’s turn with Spyro Reignited Trilogy. 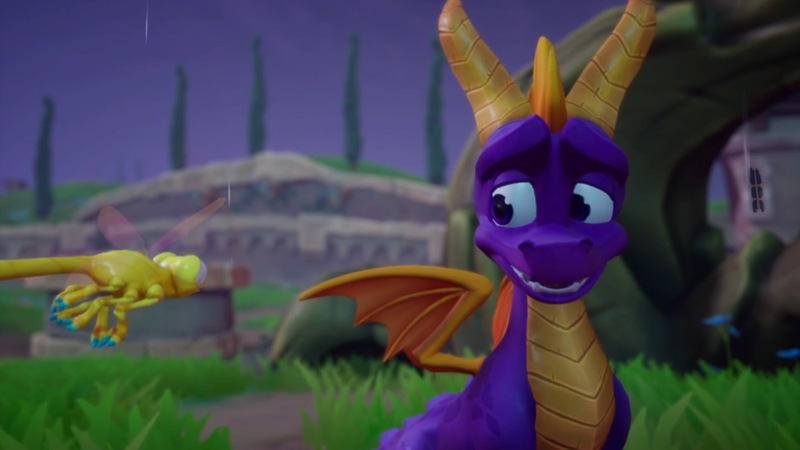 Developed by Toys for Bob, the Spyro Reignited Trilogy is an excellent remaster of the first three entries in the Spyro the Dragon series, with all three remasters feeling incredibly faithful to the original experiences while updating them in significant ways that make them even better than the originals. Spyro Reignited Trilogy includes the original Spyro the Dragon, Spyro the Dragon 2: Ripto’s Rage and Spyro the Dragon 3: Year of the Dragon. All three games feature very light-hearted stories. In the first game, Spyro has to save other dragons that have been imprisoned by Gnasty Gorc. In the second one, Spyro is taking a vacation to recuperate from his previous adventure but ends up having to save a realm under attack by the warlock Ripto. Year of the Dragon sees Spyro having to recover 100 Dragon Eggs that have been stoled by the evil Sorceress and her assistant Bianca. The story in all three games is presented by a single cutscene right at the beginning of the game, and it’s later developed through dialogues with secondary characters. Making things much better in this regard in the Spyro Reignited Trilogy is the fact that all NPCs have unique looks, personalities and voiced dialogues. All interactions are very cartoonish, making all three games feel like proper cartoons. Things are not particularly deep, not surprising, considering we’re talking about platforms games, but the enhancements make things quite entertaining. Like already mentioned, the Spyro Reignited Trilogy is quite faithful to the originals, especially in regarding gameplay, which has received some nice improvements without altering what made these games truly fun. The first Spyro is the simplest game of the three, with the young dragon traveling through stages to save his dragon brethren and collect a lot of different items like gems and the Dragon Eggs. Outside of the dragons, all the other collectibles are somewhat optional: a certain number of them is required to move to the next hub world, but the requirement is never so high that players are forced to backtrack to previously completed levels. Spyro the Dragon is the perfect representation of the 3D platform games of the late 90s, early 2000s. The moveset is extremely simple, with Spyro having the ability to jump, glide, breath fire and fly in select stages. There are no upgrades to the moveset at all, so it’s technically possible to discover everything a stage has to offer the first time through. An extremely welcome addition of the Spyro Reignited Trilogy is the ability to show a mini-map of each area, which makes exploration less frustrating. Spyro the Dragon 2: Ripto’s Rage and Spyro the Dragon 3: Year of the Dragon expand the simple gameplay mechanics of the original game in very interesting ways. 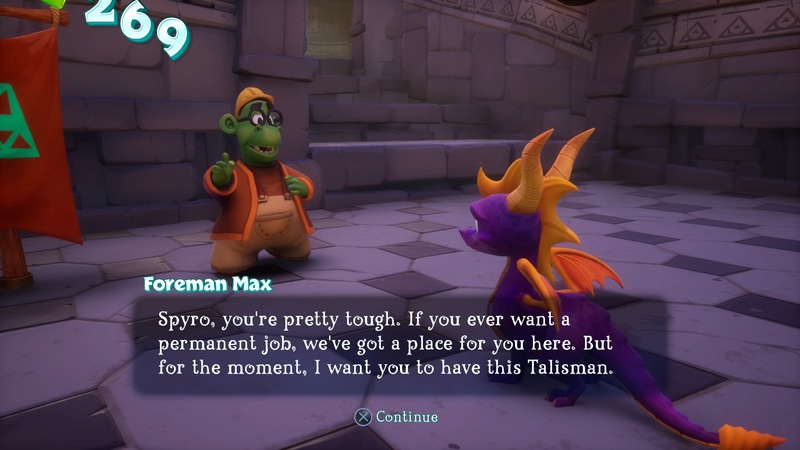 While all of the first game’s stages don’t particularly expand on the story and characters, Ripto’s Rage levels feel like self-contained stories, with a variety of wacky NPCs that give Spyro some different objectives to complete. There are also some sequences where Spyro has access to powered-up versions of his abilities, making things even more varied. There’s still a lot of collectibles to find, but the experience feels more varied, compared to the previous title. Year of the Dragon takes things even further, introducing multiple playable characters with different abilities, and even more varied level design. The third entry in the series is truly the pinnacle of the classic Spyro the Dragon experience, and the Reignited Trilogy does it’s best to present in its almost unaltered glory. What’s most impressive about the Spyro Reignited Trilogy is how all three games are extremely fun to play even years after their original release, a testament to the high quality of the original games. Like we already said, gameplay has been changed very little, so playing the trilogy feels like playing the original PlayStation games. Some things, however, have been changed, and for the better. Controls feel incredibly smooth, and a few other options make it easier to keep track of all the collectibles found in each of the game’s stages. The Spyro Reignited Trilogy doesn’t just play great but also looks great. Graphics have been redone from scratch, and they make the game almost look like a Pixar movie, with excellent animations and colorful, detailed locations. Sadly, performance isn’t as great. The game runs at 30 FPS on the original PlayStation 4 model, and there are some evident frame pacing issues. The frame rate also drops here and there, so the experience isn’t always too smooth. The soundtrack can also be a bit hit and miss, especially the dynamic soundtrack, but it’s also possible to play through the game with the original music from the PlayStation games. Voice acting, on the other hand, is spot on at all times. 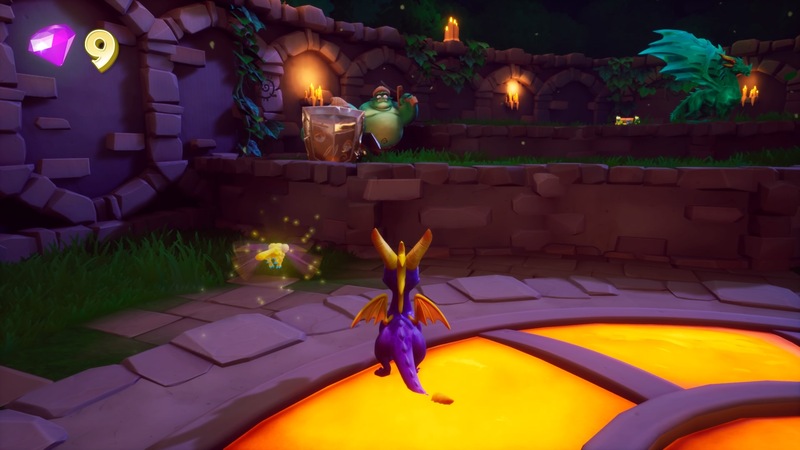 With the Spyro Reignited Trilogy, Toys for Bob and Activision have shown how a proper remaster should be developed. All three games are incredibly faithful to the original releases, and the few additions make everything here and better. If it weren’t for the technical issues plaguing the collection, the Spyro Reignited Trilogy would probably be the best remaster ever released so far. The Spyro Reignited Trilogy is the best way players have to experience the first three entries in the Spyro the Dragon series. The remasters are extremely faithful to the originals, with a couple of additions and smoother controls that make all three games a joy to play. Sadly, some technical issues prevent the Trilogy from being the best remaster ever released, but it's definitely close to it.